What type of case do you most often use? Smartphones are... well, they are expensive. Especially in 2018, the price hikes have been crazy this year, with flagships getting a +$200 price-tag boost seemingly out of nowhere. And, not only are they expensive, they are also slippery and brittle pieces of tech that we carry in our pant pockets at all times. The wireless charging craze made sure that each and every handset would be a glass sandwich, which not only increases the probability of a drop, but also the probability of a breakage. In the current climate, case manufacturer business is probably booming. 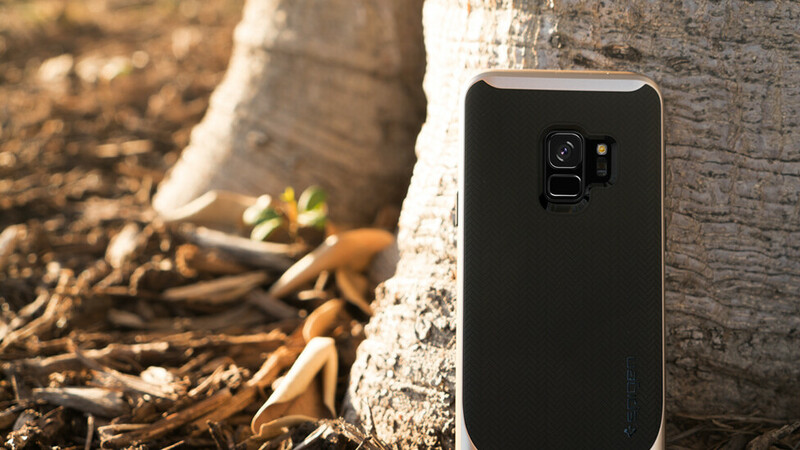 And there are tons and tons of case models — from super-thick, tank armor cases, to medium-grade protection that's not too bulky, to thin cases that provide better grip and not much else. Of course, there are also skins, which add a nice texture to your phone and make it stick to your hand better, but — again — don't offer that much in terms of protection. We wonder, what type of case do you go for most often? What's your most favorite type, so to say. Armor case! I pick medium — only slightly bulky and it adds enough protection Slim cases are the best cases! I slap a skin on my phone and call it a day No cases, no skins, I rock my phone naked! Slim cases are the best cases! No cases, no skins, I rock my phone naked! Naked all the way! What's the point buying an expensive phone just to strap a cheap 2$ case on. Hypocrites. Right, until the first time you drop it and shatter the screen/glass back. Every naked phone I've seen in the wild is inevitably cracked. True, luckily I slapped my phone a clear case and a screen protector right away I purchased it, a week ago it fell from my night stand and the screen protector shattered but the screen itself was intact. I purchased another one immediately. I better spend $10 on a screen protector rather than $400+ on a screen replacement. We're not hypocrites, you're just a showoff. We do not buy an expensive phone to show it off, we buy it because we appreciate its design and its quality. Moreover, the best hardware is put into flagships and flagships, unfortunately, are built with showoffs also in mind. If there was flagship-grade hardware put in a mediocre shell, I'd surely buy it. Haha why do you need to strap a cheap $2 case. Atleast use a decent case that adds personality to your phone as well. because that $2 case could save you more $$$. Medium cases are more of my speed. It's a great middle ground. However, if I find a case that is exactly what I'm looking for and it's slim, I'll consider it. I always use a screen protector anyway. Definitely slim. Usually like something that helps grip the phone. Currently, I'm using a wireless charging case on my iPhone 7. Fell in love with wireless charging when I bought The S6 years ago and now, I don't feel like going back to the wired mess of 'traditional' charging. Besides, I have The Samsung fast wireless charger ($30 AUD), and it didn't feel right to just let this miracle of a gadget rot! Once you get accustomed to wireless charging; there's no coming back! It's almost like having an UNLIMITED BATTERY LIFE! G'Day! Only have ever use a ultra slim back & side case. Phones are to thin & slippy you need a thin case for extra grip. Naked or skin only. If I'm paying premium I'm not going to hide the design with a cheap piece of plastic. Crystal clear slim cases for me, or slim black cases. One as thin and clear as possible for the work hours (Nillkin nature) and one medium for the days off (Nillkin synthetic fiber) for my LG G6. If I had to choose only one, I'd pick the thinnest, because my lifestyle allows it, but ion general a medium case is the best compromise. No cases. I've mastered the art of sticky fingers thru the years. Haven't had a serious drop since my iPhone 4s! I buy several types so i can change it when i want something different. My favorite is the real wood cases that slide together on your phone. Otter Defender or Lifeprood Fre. Depends on what my day will consist of. Plus, my 14 month old girl loves to play with my S9+. So, I got her a used S7, can't go wrong, overstock new for 170. And T mobile only charges 4.32 for taxes on the line. Plus, my wife has plenty of cases she doesn't use. I only have a few requirements for cases - the must be black or dark grey, and they must have a kickstand. Other than that, comfort in holding is most important. I'm usually a belt pouch kind of guy. I almost never do cases... but my belt pouch for my current device just recently broke into bits, and so I am trying an experiment - rocking the phone naked, aside from the screen protector. My last few phones I have bought belt pouches and screen protectors for, but after this little experiment, I think I am likely to start trying cases (keeping the screen protector, though). I am not going to buy anything for my current phone, as I intend to only have it for a few more months at best (the phone began losing battery capacity very abruptly about four months ago, and then a couple months later I noticed fairly severe overheating at the top-rear of the phone when I spent time using it outside of WiFi coverage... I suspect that the onboard LTE chip is overheating when my usage is heavier than usual - almost-11-month-old LG Fortune with Cricket Wireless). I have been hearing good things about the Motorola Moto E5 Cruise, which is sitting up at the top of my price range, so that may be the next device I end up with (unless there is some last-minute detrimental fact that comes to light), and I will not be going back to a belt clip pouch... I will probably get some sort of slim case for it. I have gone with Krusell in the past (for my Nokia E75 - combination leather case and belt clip design), but I worry they may be too expensive for my tastes now. 100000000% agreed. I’ve got a Tech21 on my Note8 as well, and it is just amazing how well it has done its job. Tech21 for everyday use, and, Spigen Tough Armor when I need a little more protection. Tech21 cases fit and feel just right for me. My cases have a front flap on them. I don't care how ugly it looks...I don't buy my phone's with the intent/need of showing them off to my peers. Currently rocking the Cape Cod Blue leather case for my iPhone XS Max and a Black/grey Tech21 case on my Galaxy Note8. Haven’t had any drops with my XS Max as of yet, but my Note8 has taken a few nasty spills and survived with zero damage. I used to never use a case and brag about how I had never cracked a phone screen yet, until my iPhone 6S Plus met the pavement and looked like a giant spider web. That was my turning point where I started using cases regularly. Only use a case when I am on my motorcycle, so armour one.